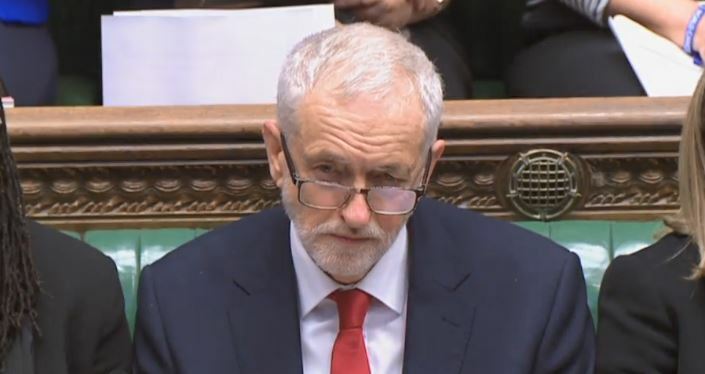 Prime Minister’s Questions on Wednesday saw Jeremy Corbyn and Theresa May go head-to-head over the proposed ‘alternative arrangements’ for the backstop - but it was the SNP, not the Leader of the Opposition, who was in Mrs May’s firing line. On Tuesday evening, an amendment by Sir Graham Brady was passed that sought to renegotiate the backstop with the EU, and Mr Corbyn began by asking Mrs May to detail what exactly the alternative arrangements were. “Last night the house set a clear direction on the way the house could agree a deal, and that is about dealing with the issue of the backstop,” responded Mrs May. She listed various suggestions from MPs including “a unilateral exit mechanism or a time limit to the backstop, and the Political Declaration already references alternative arrangements and raises a number of proposals that could be addressed such as mutual recognition of trusted trader schemes." “None of that was very clear to me, I don’t know about anyone else!” Mr Corbyn replied. He later mocked the suggested use of technology to avoid a hard border between Ireland and Northern Ireland, saying: “This morning the Brexit secretary said the alternative arrangement was looking at technology. Mr Corbyn said a customs union and the "strongest possible deal" with the single market is required, adding: "The Prime Minister may have succeeded in temporarily uniting her very divided party but is she willing to make the compromises necessary that are more important - and that is to unite the country going forward to secure jobs and living standards right across the UK." Mrs May shot back with a jibe at how long it had taken Mr Corbyn to agree to a meeting. “He’s a fine one to talk about coming together when it’s only last night he agreed to meet me!” she said. 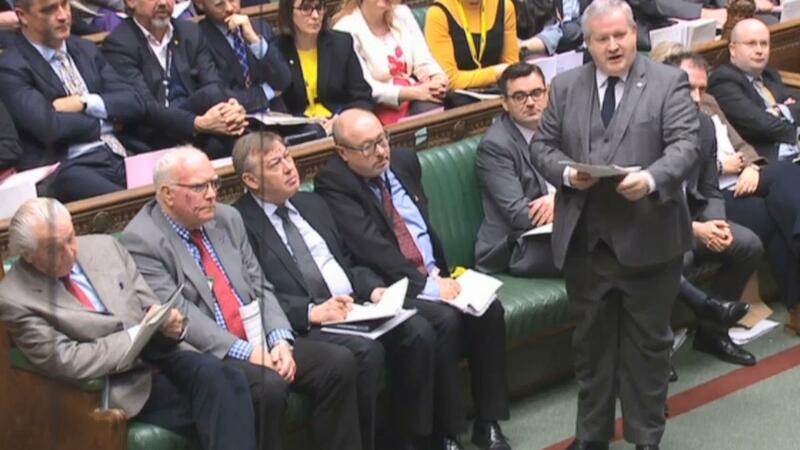 The Prime Minister and the Leader of the Opposition exchanged fewer fireworks than might have been expected given recent turmoil, and the real clash came with SNP MP Ian Blackford. “Two weeks ago the Prime Minister told this house to vote down this deal in the hope of going back to Brussels and and negotiating an alternative deal. No such alternative exists,” he said. In response, the PM castigated Mr Blackford for comments made after the vote on Tuesday night that the Conservative Party has “ripped up the Good Friday Agreement” by seeking to change the backstop. “I want to confirm the commitment of this government to the Belfast Good Friday agreement, and the Right Honorable Gentleman’s remarks were frankly irresponsible,” Mrs May responded. When Mr Blackford said Scotland was being “dragged out of the EU” against its will, Mrs May hit back and said a new report showed 60% of Scottish exports went to the rest of the UK, three times more than with the rest of the European Union. "Yet he represents a party that wants to erect a border between Scotland and England," she said. "The biggest threat to the future of Scotland is sitting on those benches."